Regional TV was growing at a great rate in NSW in 1962 – with two local commercial stations launching on 17 and 18 March respectively. CBN8, based in Orange in the Central Tablelands region of NSW, was launched on 17 March 1962. CBN8 would later partner with CWN6 which began in 1965 in nearby Dubbo. Like many regional channels, CBN-CWN maintained a strong presence in their respective areas with local productions supplementing national or imported programs. By the 1980s, CBN-CWN struck up a partnership with MTN9 in Griffith and the three station network was to be known as MidState Television 6-8-9 (later dropping the channel numbers from the logo). By the end of the decade, MTN9 had split from the partnership and CBN-CWN (now joined by RVN2 in Wagga Wagga) were about to enter the bold new world of aggregation as part of the newly formed Prime Television. 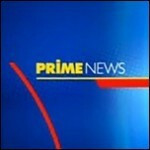 In March 1989, Prime expanded into the Canberra and Illawarra regions as the Seven Network affiliate. In 1990, the first year of surveys for the expanded Southern NSW market, Prime was dominant against its two new commercial rivals WIN and Capital. Launching on 18 March 1962 was WIN4 Wollongong. WIN faced its own uphill battle in its early days, striking resistance from Sydney channels ATN7 and TCN9 when it became apparant that WIN4’s signal would overlap theirs, and potentially take viewers from the Sydney channels. WIN was also faced with the dilemma of the VHF channel 4 frequency being assigned new broadcasting parameters, meaning that older TV sets had to be re-tuned to now pick up channel 4. WIN however overcame these hurdles and maintained a strong local programming lineup and also managed to produce some off-peak programs to be syndicated to the capital city networks. By the 1970s, Rupert Murdoch had taken control of WIN4 but sold his interests in the channel later in the decade to Bruce Gordon. Murdoch went on to gain a controlling interest in TEN10 Sydney and ATV0 Melbourne which he maintained until the late 1980s. 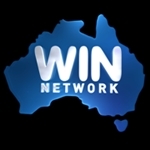 Under Gordon’s control, WIN took on aggregation in Southern NSW expanding its signal as the Nine Network affiliate. WIN also took control of Queensland regional station RTQ7 Rockhampton, and in a deal which shook Queensland’s regional TV in the lead up to aggregation, bought out RTQ7’s sister station DDQ0 Toowoomba, snatched the Nine Network affiliation from Townsville-based QTV and re-badged the RTQ/DDQ network from Star Television to WIN. 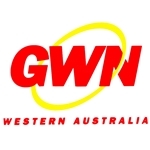 The 1990s saw WIN’s operations also expand to take over Nine’s regional affiliates in Victoria and Tasmania as well as buying up regional stations MTN9 Griffith, SES8 Mt Gambier and RTS5A Riverland, and successfully bidding for the new second commercial licence in regional Western Australia. From what began as a single TV station in 1962, the WIN network now covers most of regional Australia. Bruce Gordon maintains sole ownership of WIN as well as investments in other properties such as the Ten Network, Sunraysia Television, SelecTV and radio stations C91.3 in Campbelltown and I98 Wollongong.